L. Chad Elder’s practice is focused on professional license defense for Kentucky and Ohio physicians, attorneys, dentists, nurses, pharmacists, physician assistants, psychologists and other professionals holding licenses regulated by the state. Mr. Elder served as litigation attorney for the Kentucky Board of Medical Licensure from 2002-2007 where he prosecuted disciplinary cases and appeals involving physician and physician assistant licenses on behalf of the Kentucky medical board. He provided legal advice to the Kentucky medical board and its staff on physician applications, license reinstatement requests and disciplinary investigations. 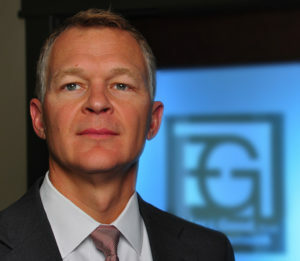 During his tenure as lawyer for the Kentucky Board of Medical Licensure, Mr. Elder litigated cases involving ethical violations (self-prescribing and treatment of family, sexual boundary violations), standard of care violations (inappropriate prescribing of controlled substances, documentation deficiencies, malpractice), criminal convictions and alcohol and controlled substance addiction of the physician or physician assistant. He is familiar with the intricacies of the administrative procedures involving investigation of alleged violations, negotiated settlements, litigation of alleged violations and appeal of adverse findings. Mr. Elder is familiar with the issues and consequences the Kentucky and Ohio physician, nurse, dentist, pharmacist, psychologist and other licensed professional face as a result of disciplinary action against their license. This includes appeals for notice of termination or exclusion by Medicare, Medicaid and other third-party payors. Obviously, termination or exclusion has a significant impact on the practice of a doctor, physician assistant or nurse practitioner. Exclusion or termination from Medicaid or Medicare dramatically impacts the employment opportunities of all healthcare providers – pharmacists, nurses, ARNPs, etc. In addition to his work in professional licensure defense, Mr. Elder defends persons charged with criminal offenses. He served as a state prosecutor in Jefferson County, Kentucky from 1996-2002. As a prosecutor, Mr. Elder handled felony offenses from murder, domestic violence, narcotics, sexual assaults, robbery, fraud and theft. His experience in the criminal system is extremely beneficial to his clients – in particular those holding professional licenses as he is aware of the consequences criminal charges will have on their professional license. It is critical for the physician, nurse, dentist, pharmacist or other licensed professional to retain a lawyer with the knowledge of the impact a criminal charge or conviction will have on a professional license and their status with Medicare and Medicaid. Mr. Elder is a native of Kentucky. He received his BA from the University of Louisville and his JD from the University of Kentucky College of Law. He resides in Louisville with his wife and three children. University of Kentucky College of Law, Lexington, Kentucky, 1995 J.D.